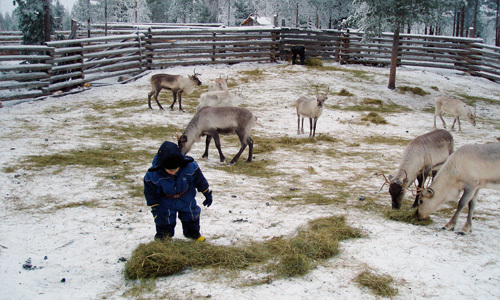 Kopara Reindeer Farm is a family business set up by the Kiiskinen family in 2002. 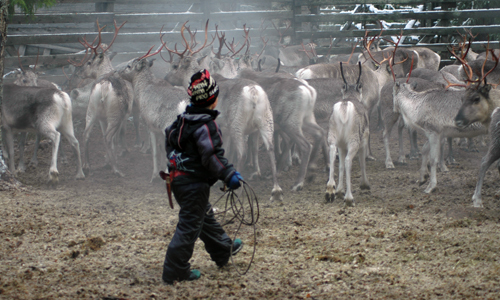 For hundreds of years, the reindeer herding tradition has been part of the family tradition. Tradition continues in the hands of Anssi and Ari Kiiskinen. 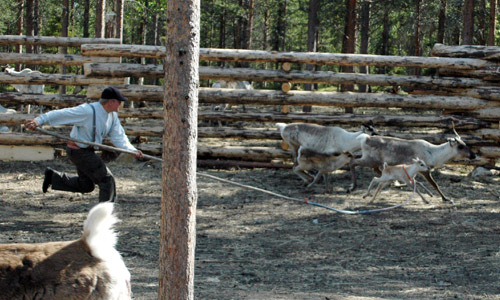 Kopara Reindeer Farm combines traditional reindeer herding and tourism. 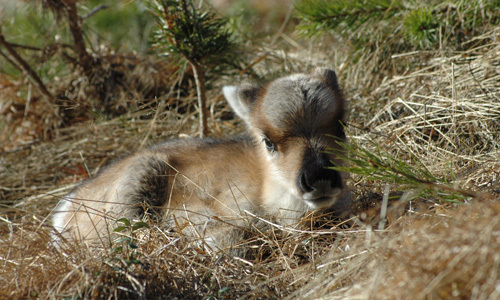 Kopara is not only a place for visitors but the farm is operating in the whole area of Pyhä-Luosto National Park where the reindeers live free. 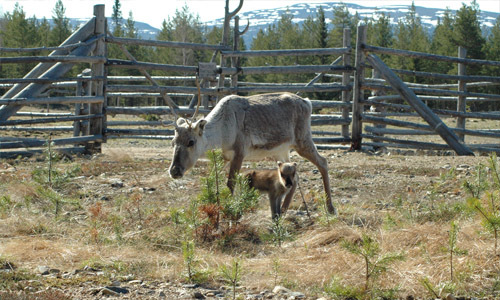 Reindeer is an integral part of Lapland's nature. Reindeer economy and reindeer herding - as it is now known - is a livelihood of at least 500 years old. Reindeer has been known to used for carrying and pulling stuff since our time-out. Reindeer is a very nice, humble and obedient animal, as long as it gets learning first! And this job already requires skill. 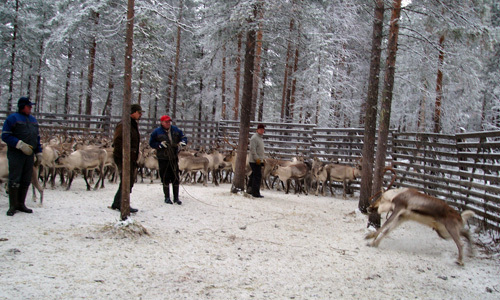 In total there are about 200,000 reindeer in Finland and about 5000 reindeer owners in Lapland. 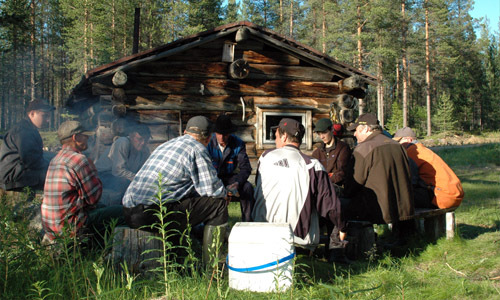 In Kopara you can meet the reindeer herders Anssi and Ari Kiiskinen, who take care of their reindeer herds according to the old traditions and the northern rhythm. They also train all their sleigh-pulling reindeers. Kopara's reindeer herding has been established for future generations. The most important thing is to preserve and enable the local reindeer herding culture and tradition for future generations. Reindeer Kopara tells about the northern reindeer herding culture and promotes the local tradition for thousands of guests around the world every year. Reindeer herding is the blood heritage for Anssi and Ari. In occupation, which is more a way of life, enchants the proximity of nature, working with animals and freedom. Seasons and the rhythm of the reindeer’s life guide the reindeers herders life and provides a unique environment for working and breathing fresh air. 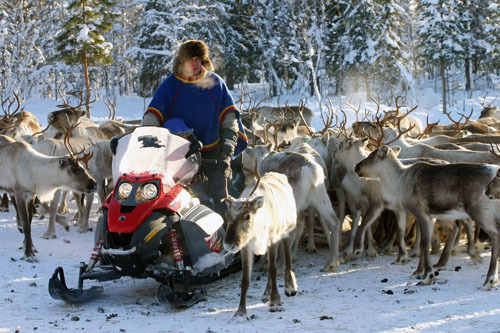 Anssi hosts Kopara with his uncle Ari and runs safaris as a guide and tells stories about reindeers. He spends a big part of the year tending to his herd, so it is easier to find Anssi in the wild than in Kopara, if you can keep up with him. Ari is Kopara's more experienced host. Ari is also enthusiastic about the crafts and and he has made traditional footwear, cloaks and coffee pouches of reindeer hide. Ari is in charge of training the sleigh-pulling reindeers of Kopara, and naturally he is also one of the safari guides. The younger hosts of the farm are the sons of Anssi, Santeri and Pietu. 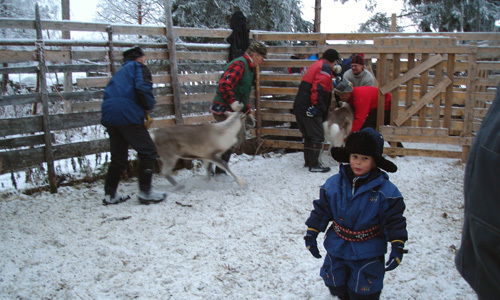 Boys participate in feeding the reindeers, marking the calfs and of course the customer work too. Each reindeer herder has his own earmark to mark his own reindeer. The boys have learned hard to make ear tags, as every one have to mark their own calfs. Santer's ear tag: Left across and through, rub on a top, notch under. Right across and through, rub on a top, notch under. Pietu's ear tag: Left on a post. Right rub on a top. In addition, there are also other local persons working on the farm, offering guests a unique local nature experiences with sleighrides in the wild.